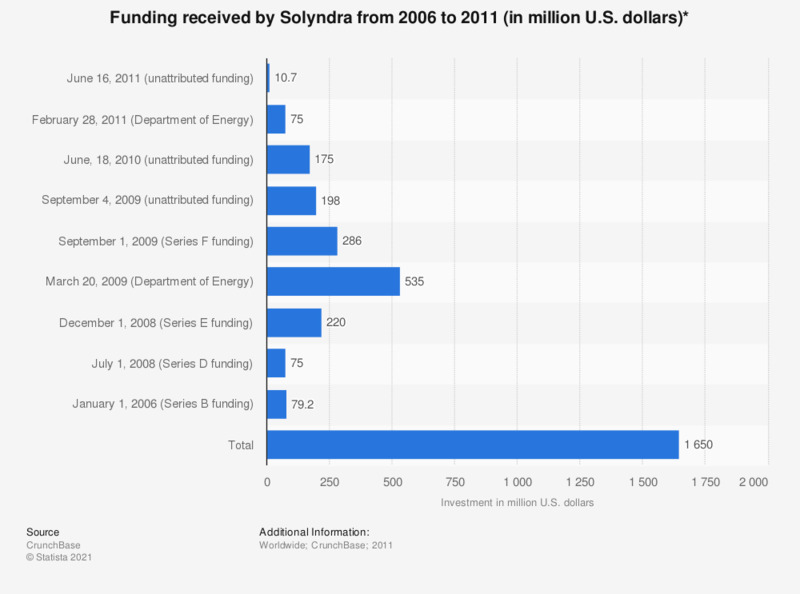 The statistic represents the funding received by solar manufacturing company Solyndra, as of September 2011. After receiving a total of around 1.65 billion U.S. dollars in funding, Solyndra filed for bankruptcy in 2011. * As of September 2011. Values may not add up due to rounding. Statistics on "Renewable energy in Germany"